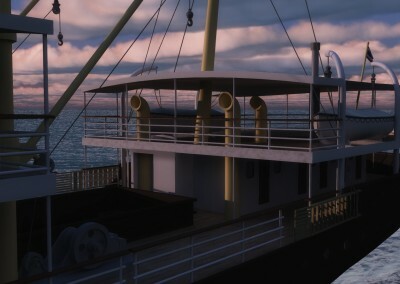 This gallery here presents the final result of recreating the ship in accurate detail on the computer. 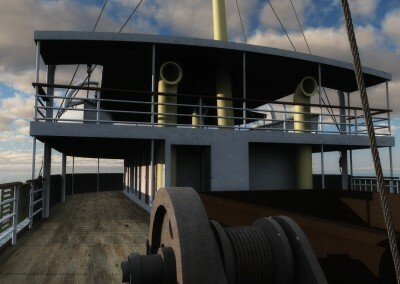 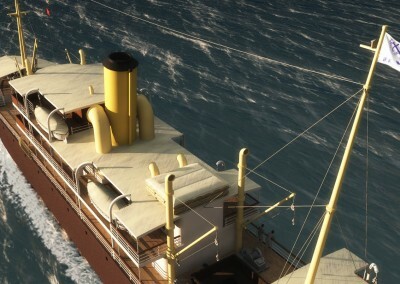 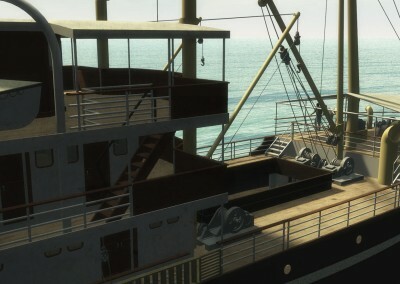 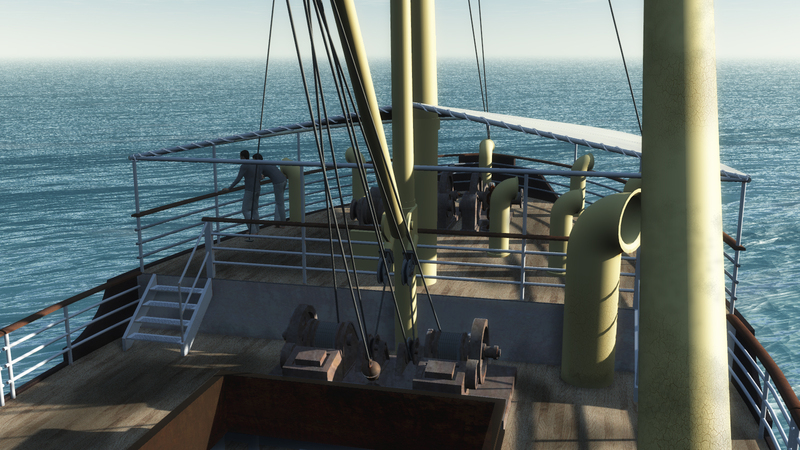 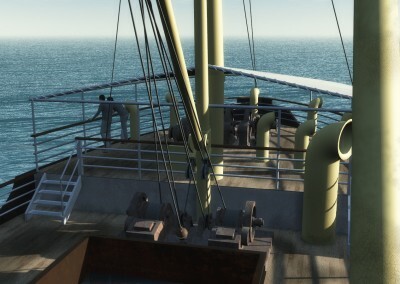 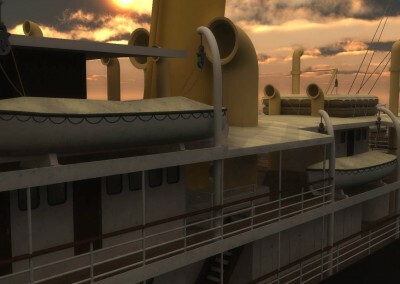 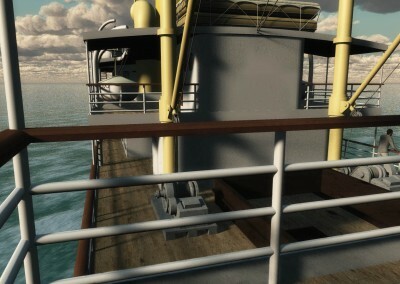 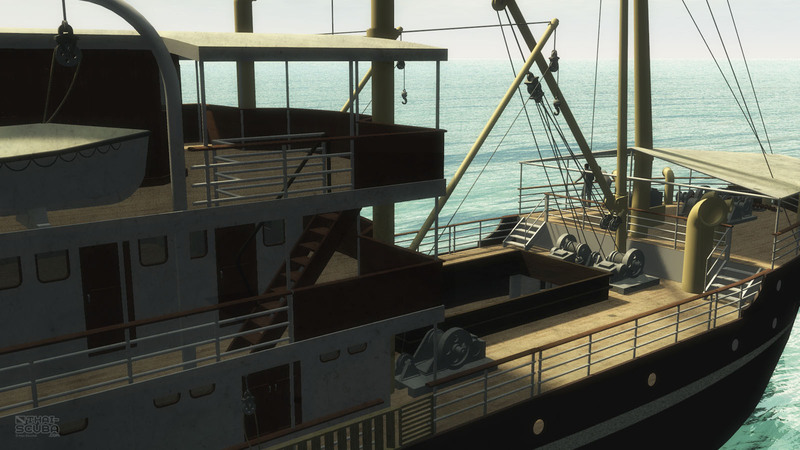 Following measurements of the wreck’s dimensions underwater, the original ship’s model had been re-built in 3D software. 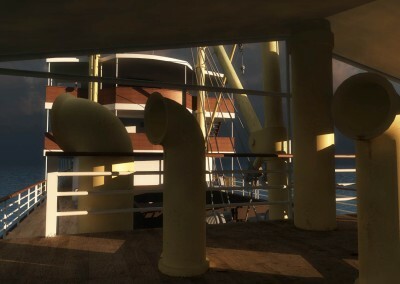 Observing even color specifications of historic spec sheets of the ship, the final model was then rendered out in the ambience of various weather conditions. 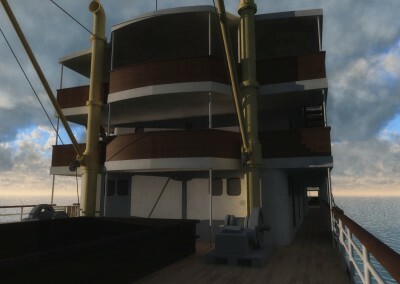 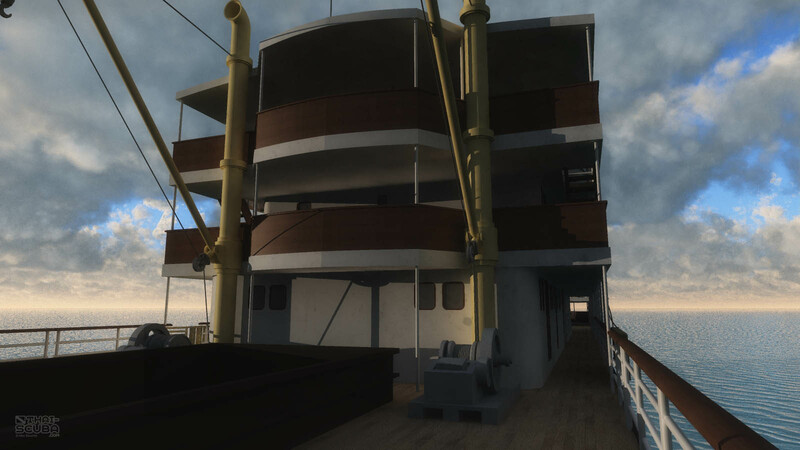 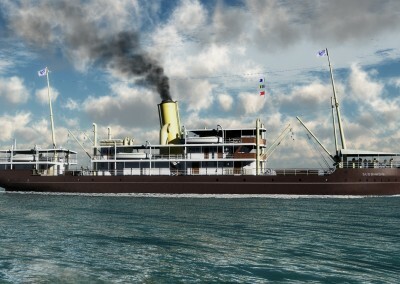 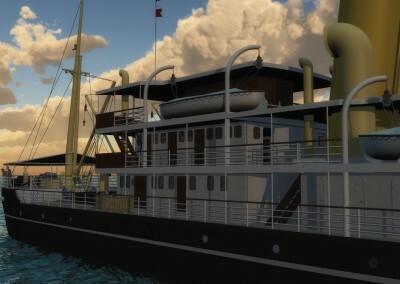 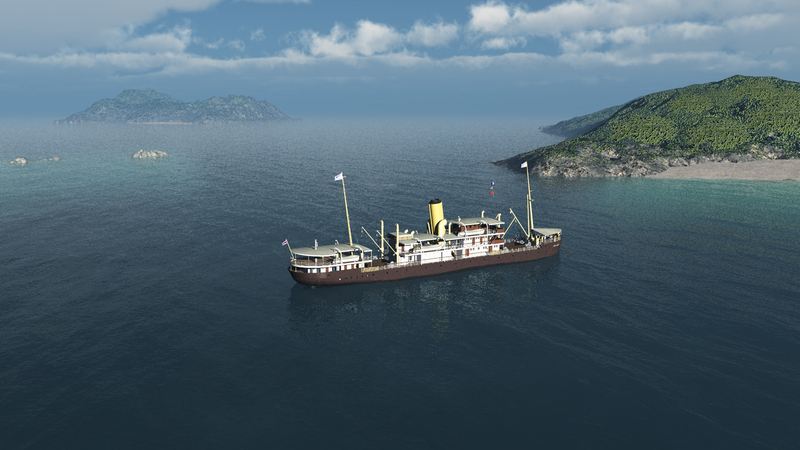 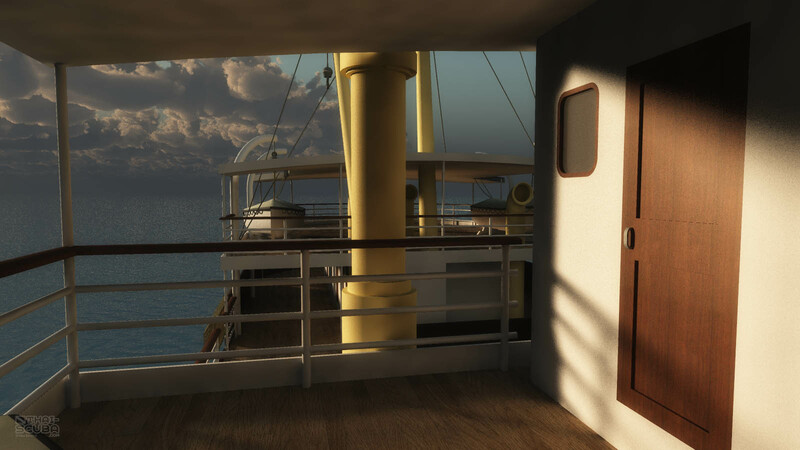 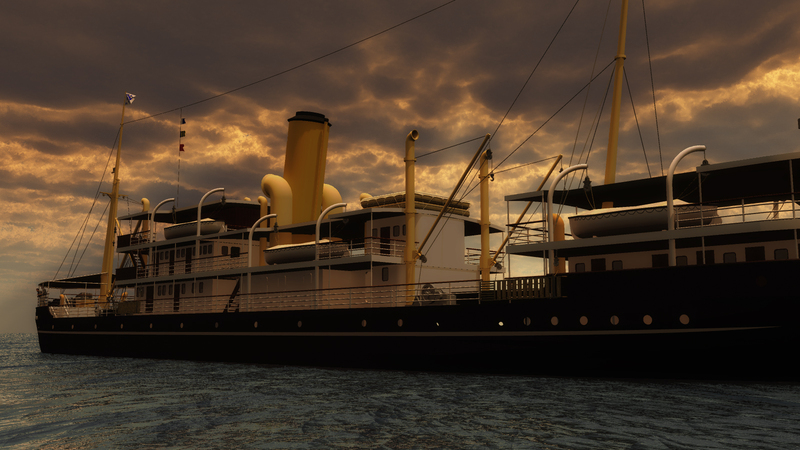 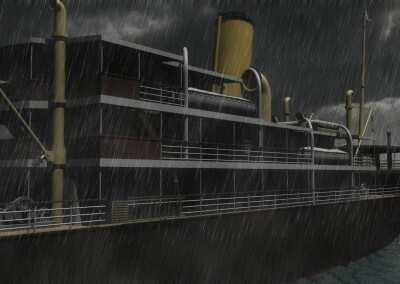 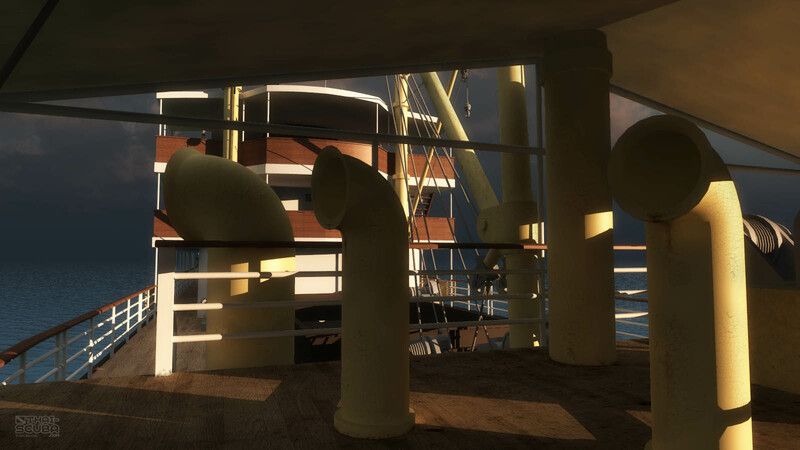 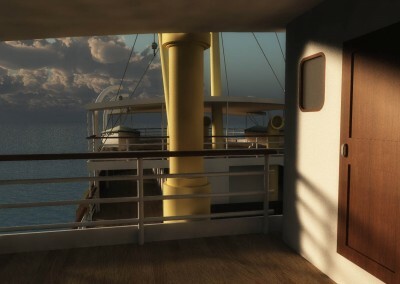 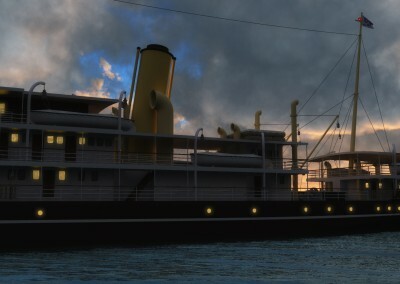 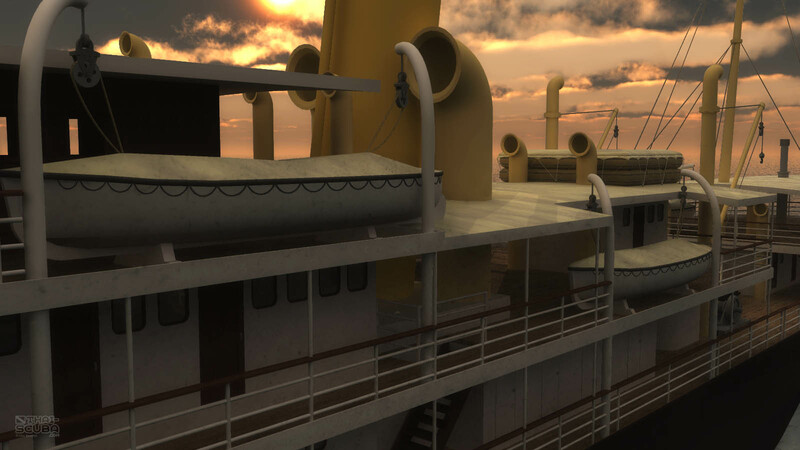 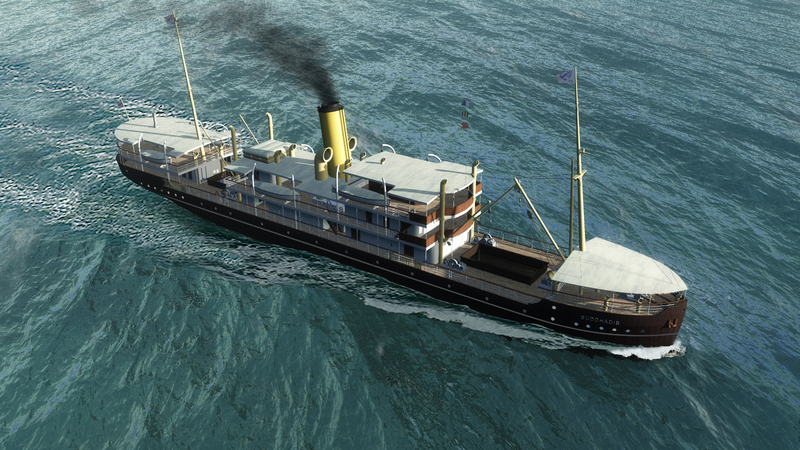 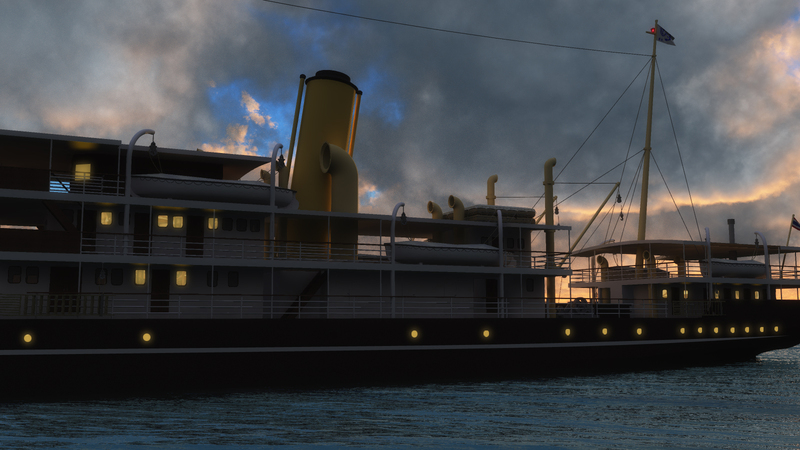 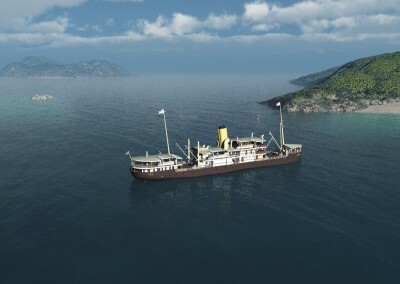 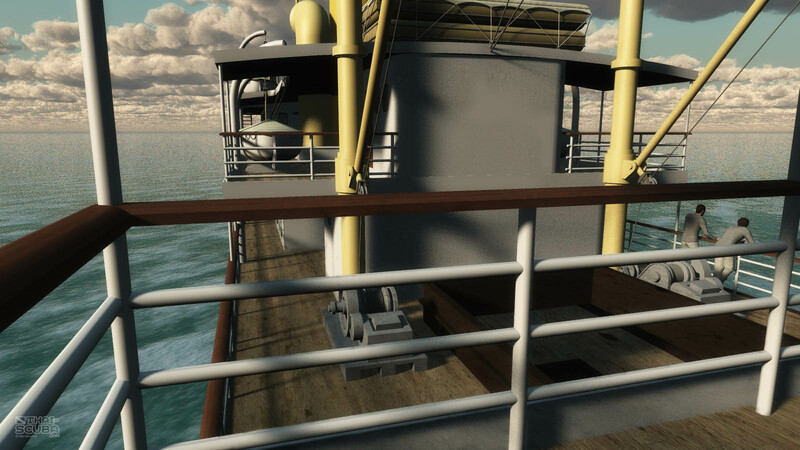 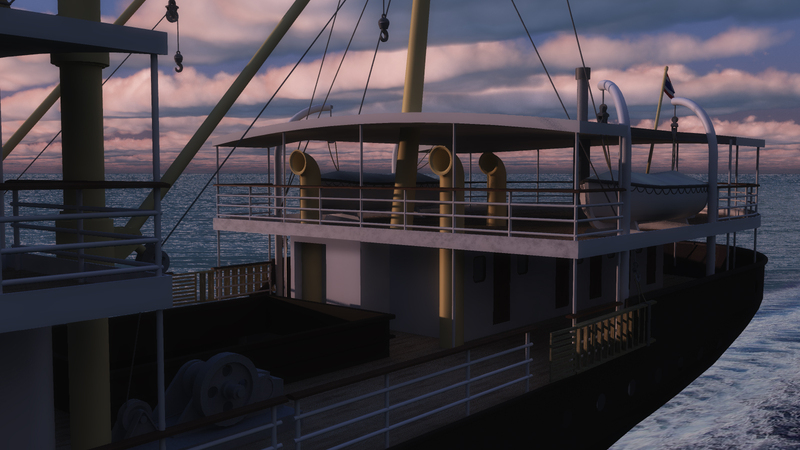 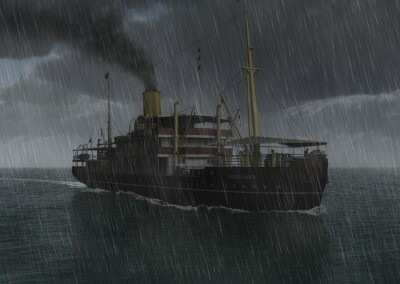 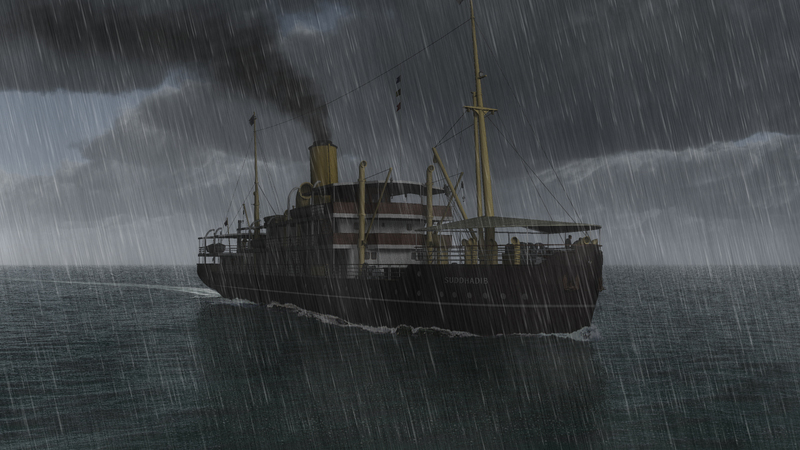 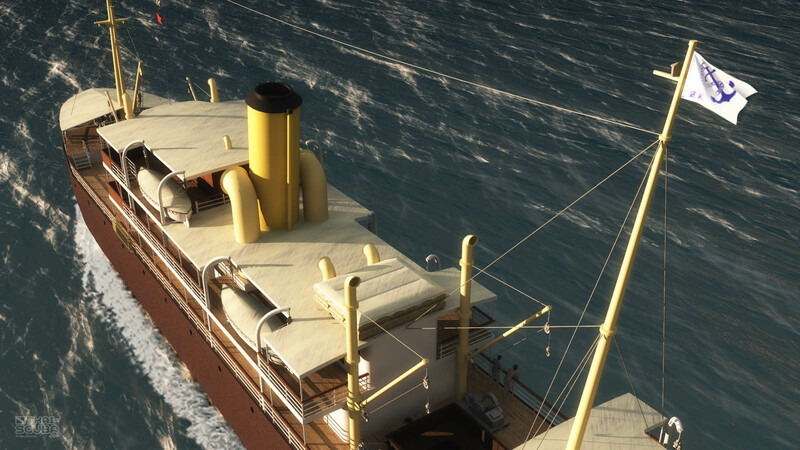 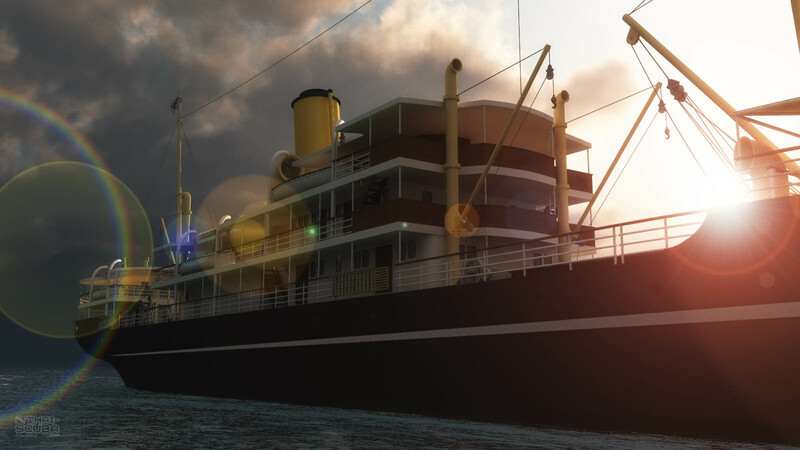 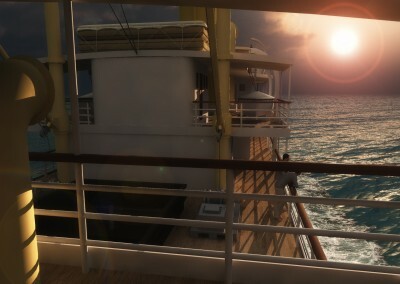 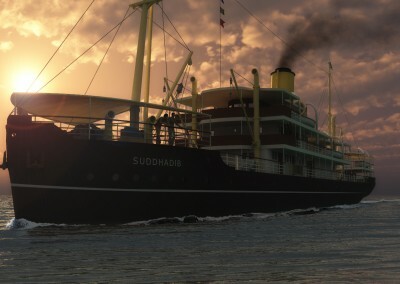 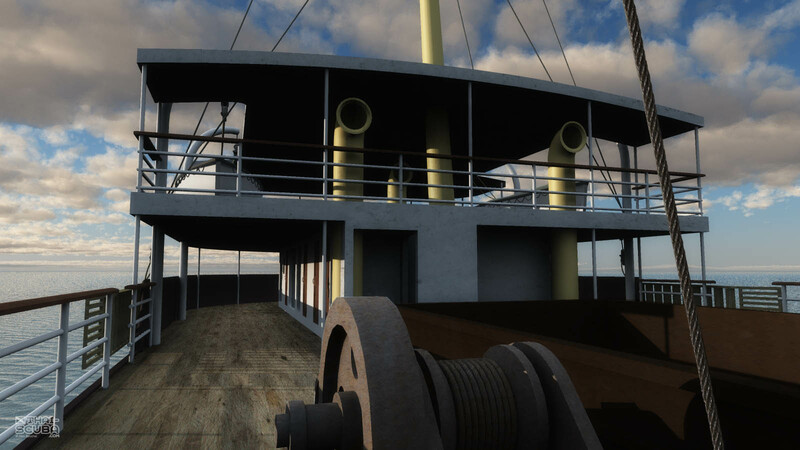 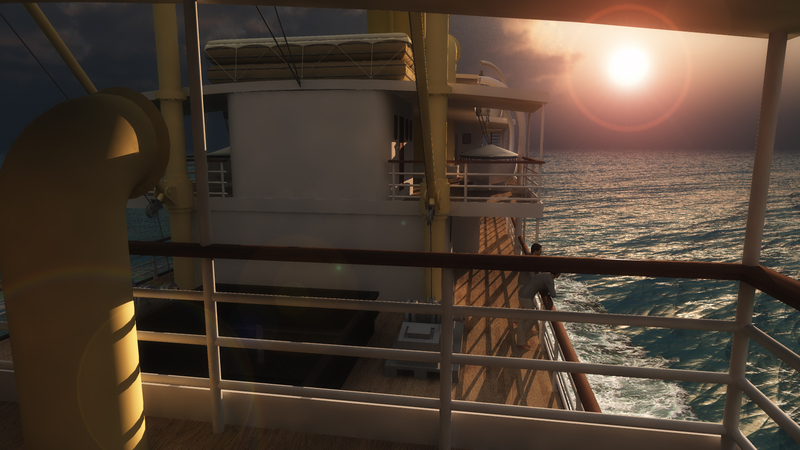 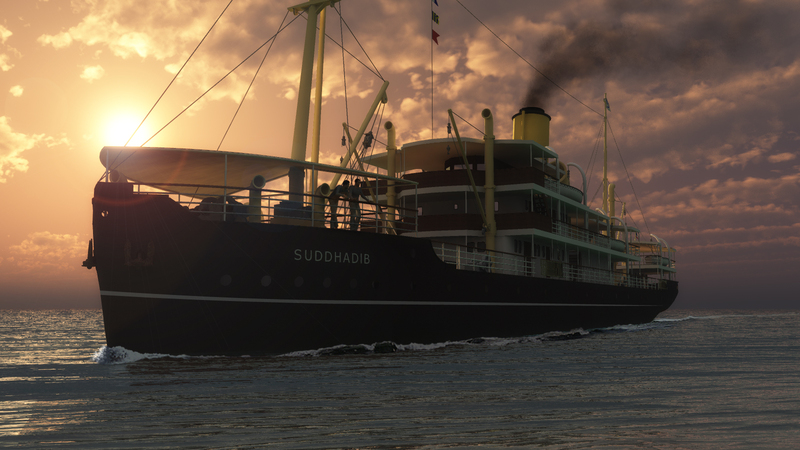 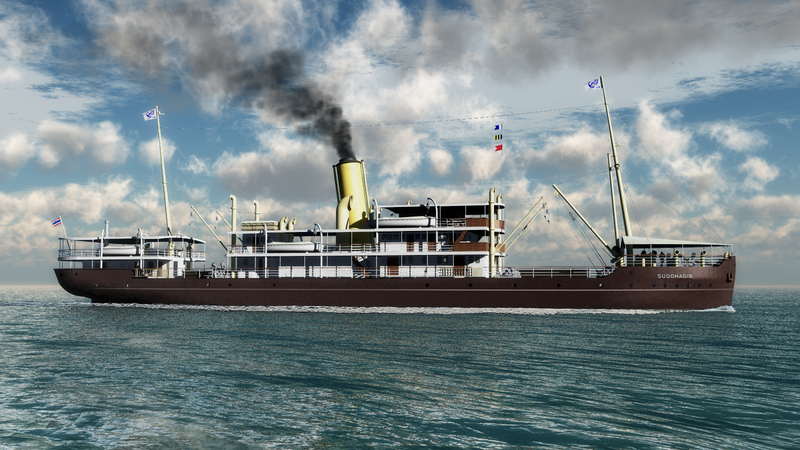 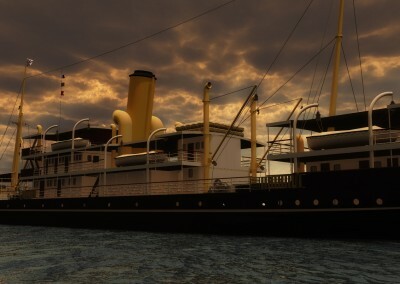 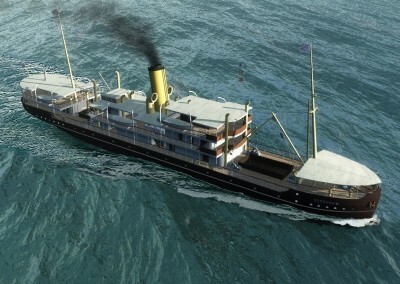 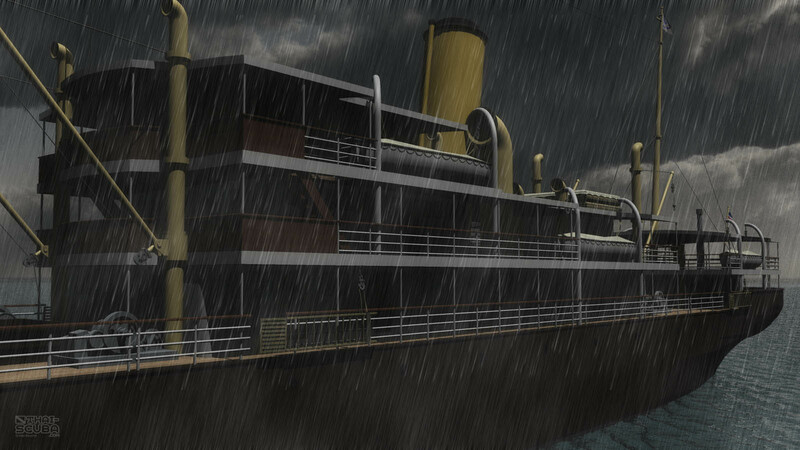 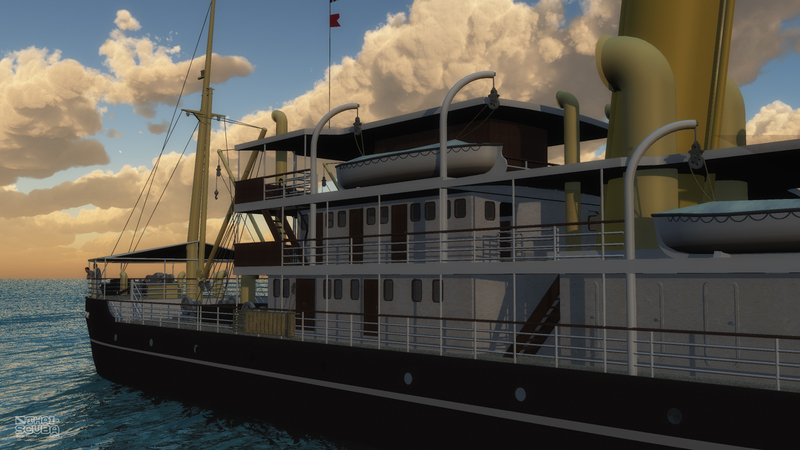 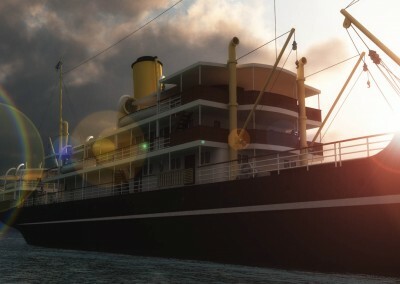 Brought back to life in the computer, here an exciting animation of the finished 3D Suddahdib model to give you an accurate impression of what it was like aboard the ship almost 70 years ago.